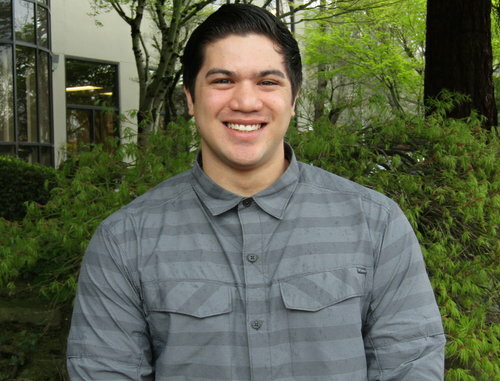 Care Coordinator Austin Cho recently joined the Housecall Providers team. When you first talk with Care Coordinator Austin Cho you quickly realize that he is a man well beyond his 23 years. His sense of duty and eagerness to help others sets him apart from the often-perpetuated stereotypes of the millennial generation. Once you get to know him, you will understand something else: he has a passion for medicine. “Being able to help people in their most vulnerable time is what drew me to this field,” said Austin. His desire to serve led him, while still in high school, to enroll in the Fire Science Program at the Institute of Technology in Mesa, Arizona where he trained to be a firefighter. After graduating, he became an emergency medical technician-B certified and continued working as a volunteer firefighter before joining the military in 2013. After training, Austin was sent to Afghanistan where he flew missions on Blackhawk and Chinook helicopters as a back wall medic transporting and caring for wounded soldiers. He was also tasked with providing medical care to individuals (and dogs) assigned to Special Forces’ operations. He was “in-country” for about a year. On his 21st birthday, Austin was one of only three medics providing care to 30 wounded soldiers after a mass casualty event that took place outside a village with known Taliban fighters. During that chaotic and stressful time, he performed five Cricothyroidotomies (opening of the airway by incision), placed three chest tubes, and cared for countless gunshot wounds and amputations. “I didn’t have any time to think so I had to rely on my training and muscle memory to care for those individuals. I also learned an important lesson that day: sometimes, no matter how hard you try, you can’t save everyone,” he said. However, Austin takes comfort in the fact that he did everything in his power to try and save them all. Austin was drawn to Housecall Providers because he wanted to work with a population he had never treated before, the homebound chronically ill. “The care coordinator position is a great opportunity for me to grow and become a more well-rounded medical professional,” he said. Austin will be assisting providers in the field by handling an assortment of duties from collecting information about a patient’s symptoms, helping to schedule lab draws, and convincing insurance companies to cover the medication a patient needs. We need to hear more stories about amazing young people like Austin. He is an inspiriation to us all. Thank you for serving and all you continue to do, Austin! What an incredible story. Austin has accomplished a LOT in his 23 years. We are very lucky to have him! Housecall Providers is a CareOregon company. Contributions are deeply appreciated and tax-deductible as the law allows.